The Eleventh Kenting Tai Situpa, Pema Wangchuk Gyalpo, was born in the fire-dog year in Lithang, east Tibet. Many auspicious signs manifested at his birth. All of Padmasambhava’s predictions in ‘The Command Seal of Prophecies’ (a terma teaching discovered by Tertön Sangye Lingpa) concerning the incarnations of the Tai Situpa Rinpoches, were fulfilled accordingly. Khachap Dorje, the Fifteenth Gyalwa Karmapa, recognised him as the reincarnation of Pema Kunzang Chögyal, the Tenth Situ Rinpoche, when he was four years old. The Karmapa took him to the seat of the Tai Situpas at Palpung Monastery in Kham, east Tibet, and enthroned him with the sacred Red Vajra Crown as the eleventh in the line of succession. Pema Wangchuk received the extraordinary Kagyu lineage transmissions and instructions from the Fifteenth Karmapa, his root Lama. He studied with many greatest masters of the time, specifically with the great Jamgon Kongtrul Lodrö Thaye and Khenchen Shenga Rinpoche. He became an accomplished scholar of the Sutras and Tantras. Situ Pema Wangchuk travelled extensively through Tibet and is known to have performed miracles at places like Surmang monastery, the seat of the Trungpa Rinpoches. He expanded and renovated Palpung Monastery, where he established an institute for Buddhist textual study as well as looking after the 108 branch monasteries associated with Palpung. After the Fifteenth Karmapa passed into Parinirvana in 1871, his letter indicating his next rebirth matched exactly the signs experienced by Situ Pema Wangchuk. 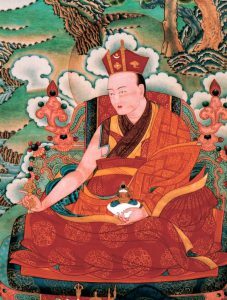 Accordingly, he found the Sixteenth Gyalwa Karmapa, Rangjung Rigpe Dorje, and later enthroned him with the sacred Black Vajra Crown. He transmitted all the Kagyu lineage empowerments, as well as the general and specific teachings, to Rangjung Rigpe Dorje. He requested the Sixteenth Karmapa to establish an institute of study at Tsurphu, similar to the one in Palpung. 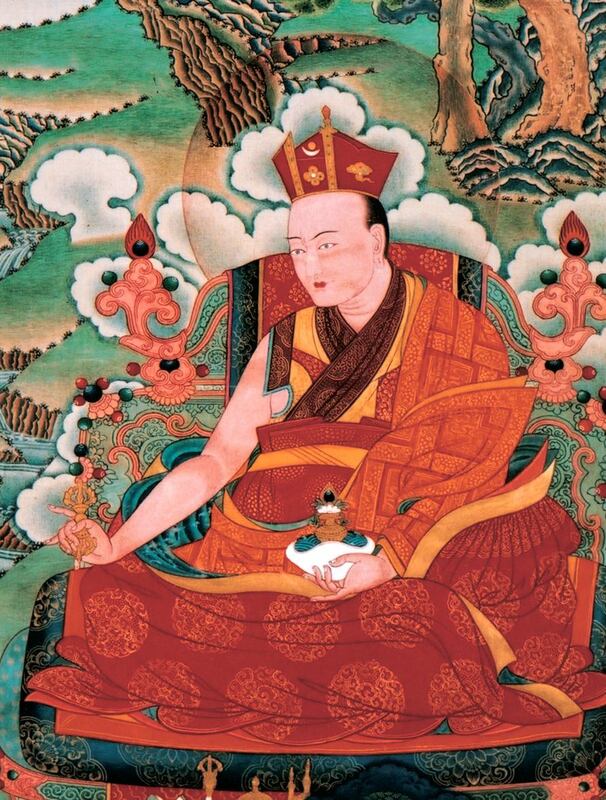 Subsequent to this request, the Karmapa received a vision of the great Nyingma adept Vimalamitra, one of the main masters who introduced the Dzogchen lineage to Tibet. In this vision, Vimalamitra also advised the Karmapa to establish a centre where the teachings could be properly transmitted and studied. If this could be done, Vimalamitra promised he would emanate among its masters and students for thirteen lifetimes. The Sixteenth Karmapa was in the process of preparing to found such an institute at Tsurphu when the major changes of the mid-twentieth century occurred. In 1940, long before these turbulent times in Tibet, and while he was staying with Situ Rinpoche at Palpung Monastery, the Sixteenth Karmapa composed a song, predicting his own flight to India. In the song he supplicated Situ Rinpoche, who was now approximately fifty-four years old, and made the wish that his activities be continuous, stable, and without hindrance, and that they would meet again and again. Situ Pema Wangchuk spent the rest of his life meditating and giving teachings to his many disciples. At the age of sixty-seven, he passed away amidst many auspicious signs.